Auto Ship & Earn + 175 Points What's this? Support your healthy vegan or vegetarian diet with a delicious protein shake and make sure your body is getting what it needs. 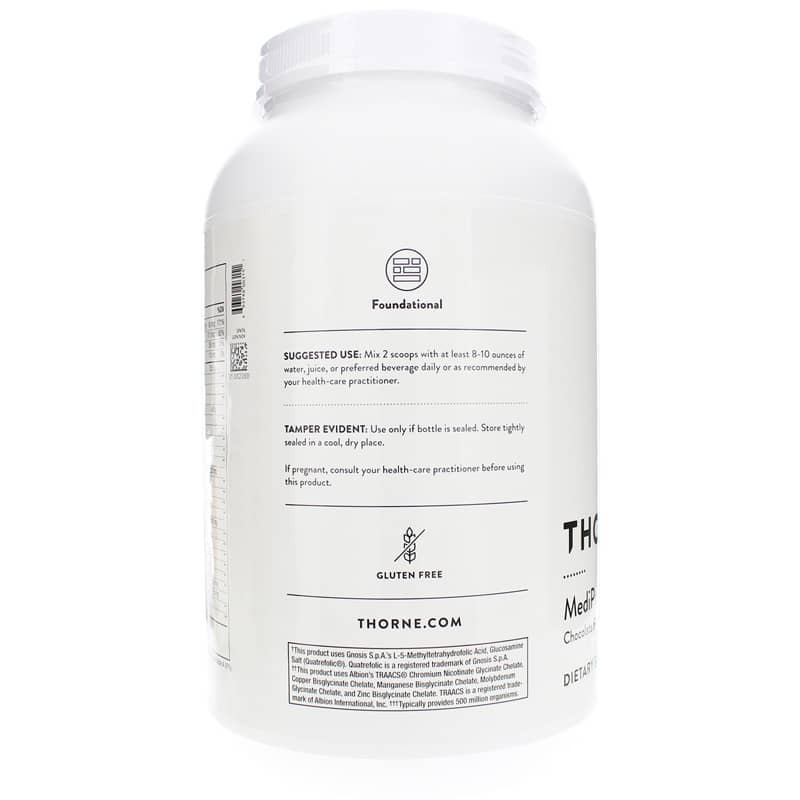 Thorne Research made this all-in-one shake especially for people living the vegan lifestyle. It has a lip-smacking chocolate flavor - and it's packed with all-natural protein - 22 grams per serving! That protein comes from a blend of peas, chia and chlorella proteins, which are easily absorbed in your digestive system. No soy. No eggs. Low in sugar and fat. Gluten-free. 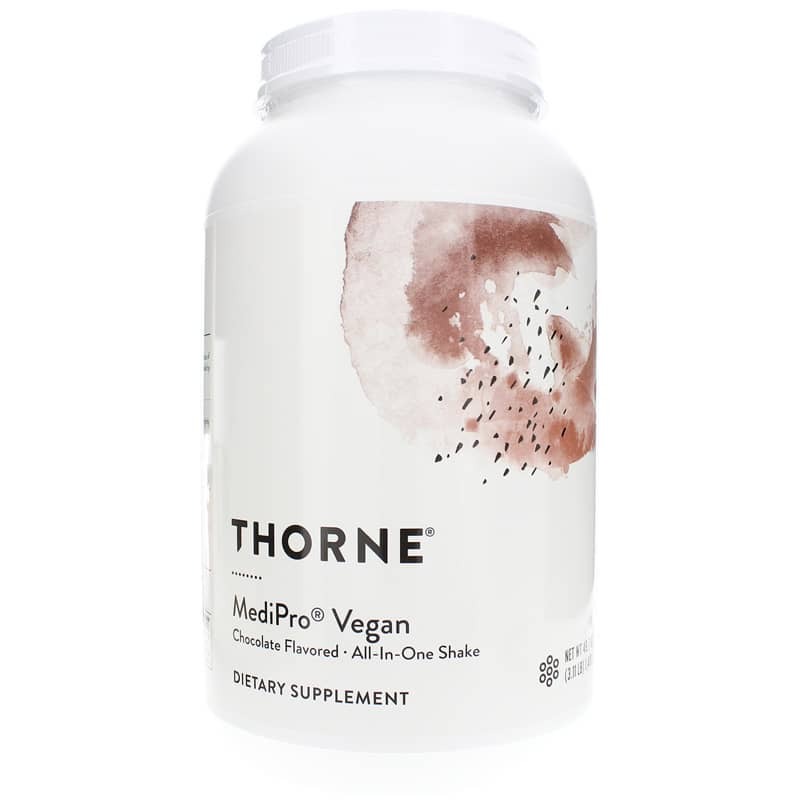 All flavors of MediPro Vegan shakes consist of vegetable-based, multi-nutrient protein powder. They're also low in sugar and fat - which means it's low in calories too. This isn't a protein powder that makes you pack on pounds. Kids will enjoy these shakes too. So if you're trying to encourage a picky eater to stick to a vegan diet - this is an excellent way to provide nutrition. It's also a good source of fiber and contains a host of vitamins and minerals. 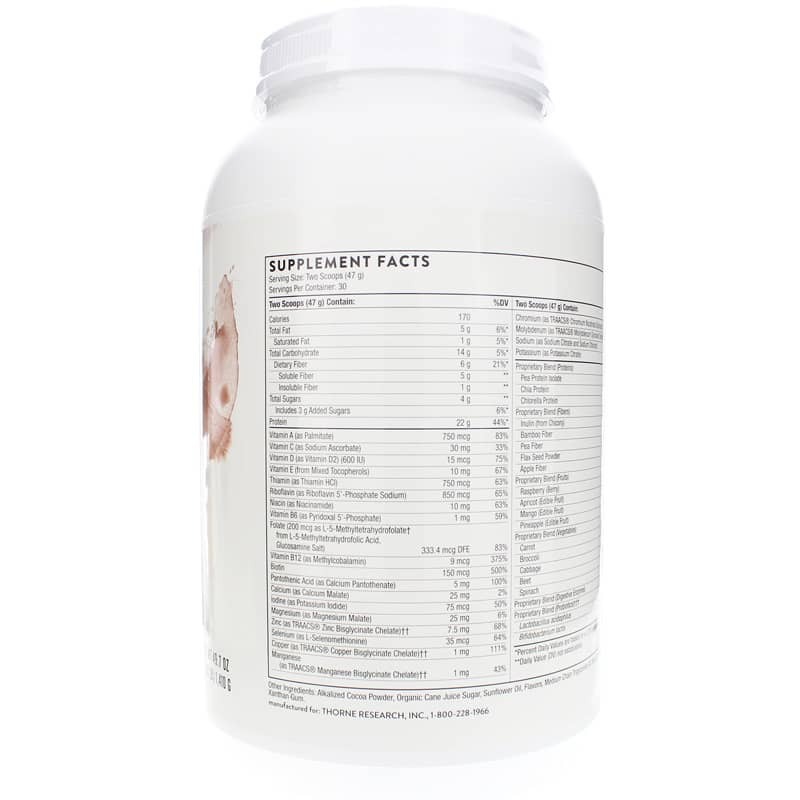 This is a protein supplement and multi-vitamin in one delicious drink. Knock out your chocolate craving and get some much-needed protein at the same time. Now that's a win-win situation! 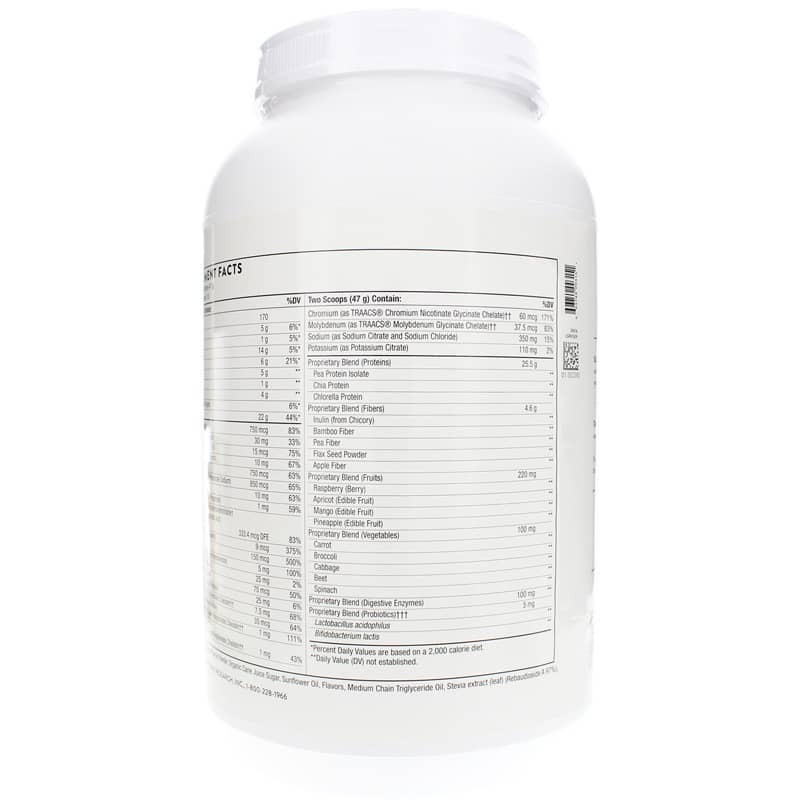 Other Ingredients: Alkalized Cocoa Powder, Organic Cane Juice Sugar, Sunflower Oil, Flavors, Medium Chain Triglyceride Oil, Stevia extract (leaf) (Rebaudioside A 97%), Xanthan Gum. Adults: Mix two scoops with at least 8-10 ounces of water or preferred beverage and drink daily or as directed by a healthcare practitioner. Medipro Vegan Chocolate is the best vegan protein powder I've ever used. It is worth the money. I appreciate the great price from Natural Healthy Concepts! Excellent shake and reasonably priced. Couldn't find anything better on the market. medipro by Thorne research is an incredible product.